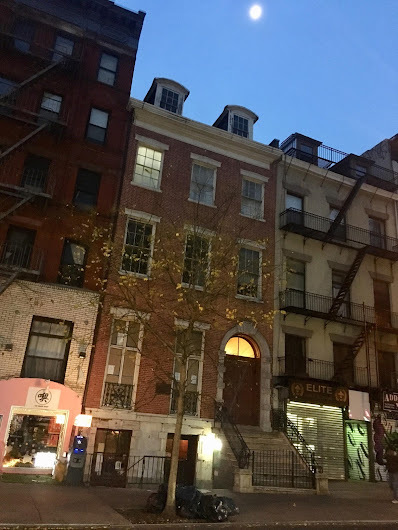 The 42-year-old bar at 20 St. Mark's Place between Second Avenue and Third Avenue is closing after service on New Year's Eve. The owner of the bar was also the owner of the building and apparently sold the business without getting a favorable rent, according to some insiders. A "rent increase" is the official reason for the closure. The owner of the Ginger Man on 36th Street is taking over the space in 2018. The 25-year-old Mexican restaurant at 143 First Ave. near Ninth Street shuts down tomorrow. 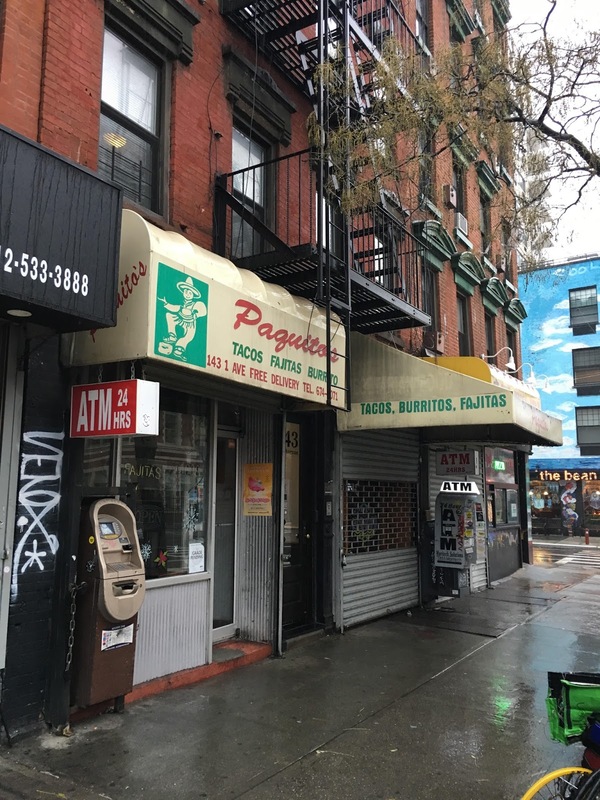 However, Paquito's will maintain a to-go counter and delivery service in the space next door to the restaurant. The owners didn't provide a reason for the closure. Both establishments on Lafayette Street will close after service on Sunday, as Jeremiah Moss first reported. There weren't any official reasons given for the closures of Noho Star (opened 1985) or the Temple Bar (1989). The 20-year-old noodle shop is closing this weekend on Union Square. A steep rent increase is reportedly behind this shutter. As Eater noted about Republic and soon-to-close Blue Water Grill, "these restaurants contribute to the neighborhood increasing in value, which in turn causes landlords to raise rents to unsustainable highs once a lease is up." Landlords are idiots. They'd rather the tax right off at an artificial high rent then a tenant who is part of a community. We have had so many major closures of beloved local businesses in past years that, with the notable exception of spots like Angeliica Kitchen and Neptune, this year seems almost mild by comparison. It’s hard to believe it has been over 2 1/2 years since Cafe Pick Me Up, which was here for 20 years, finally closed. The EV Cheese meltdown is a story in a category by itself. But two of the biggest closures ths year were online, when both Gothamist and DNAInfo shut down simultaneaously, all because a billionaire owner who hates unionized workers had a hissy fit. Gawker was another site with local flavor which was also lost to a billionaire with a grudge, but that hot mess had passed its expiration date around he same time that Paris Hilton became irrelevant. Luckily we have EV Grieve, and other local blogs, to get the kind of local news you can't get anywhere else. So thanks to EV Grieve for another great year. May there be many more. It's not their job to create a community. They are in business. Someone has to pay the 82 billion the city is spending this year. Welcome to reality. @7:36am: You're right, but I doubt landlords give a fig about that. It's too bad NYC (and De Blah-sio) don't give a fig about it either. But I'm sure some chain store or bank or drugstore will be glad to pay through the nose. Maybe Kellogg's would like to expand and offer gourmet dinner cereal in a larger space? @10:34 — it’s actually $86 billion for the City’s current operating budget, not counting capital outlays for infrastructure. Our Mayor has increased the annual budget spending by $16 billion in his first four years. Fasten your seatbelts. Drugstores and banks are actually closing locations due to high rent and the horrible business climate.